In the eight years since he took the helm of the Episcopal Diocese of Western New York, Bishop Bill Franklin has watched membership plummet from 11,000 people to 8,000. Church leaders stress the move is not a merger: Differing religious corporation laws in New York and Pennsylvania may actually preclude such a change. But under a plan approved by 90 percent of diocesan leaders last October, Rowe and his staff will oversee both dioceses for at least the next five years, after which local clergy and laypeople will reevaluate the partnership. No church employees will be laid off, Franklin said, though they may be reassigned to other projects. And the diocese expects to save an immediate $150,000 to $200,000 by avoiding a nationwide bishop search. Long-term, the two bishops say they hope the plan will save more money as the dioceses find new ways to share resources and staff. And those funds will be directed to new initiatives — including new, more contemporary churches — that better reflect churchgoers’ changing needs and preferences. “Going to church is not part of the cultural climate here like it is in the south — people go to brunch on Sunday mornings in Buffalo,” Franklin said. That has challenged the diocese to come up with new ways to “reach out to the population of Western New York,” he added. 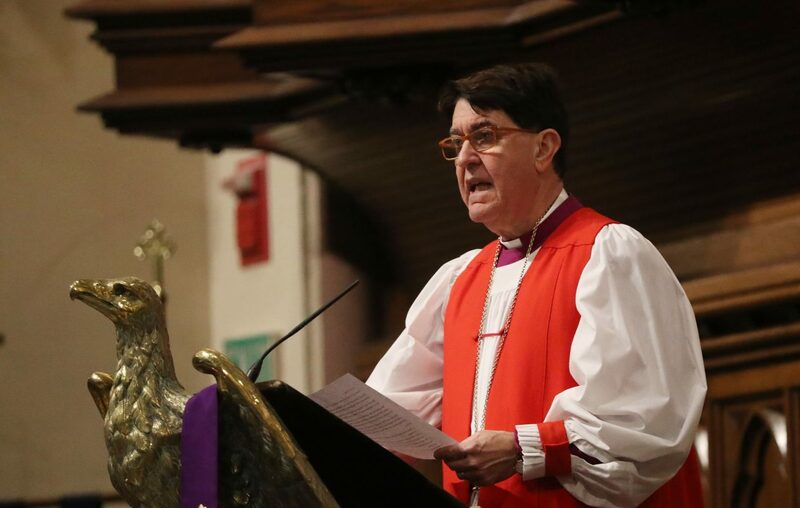 That challenge is not unique to Western New York or to Episcopalians, points out Bishop Todd Ousley, who leads development efforts for the national Episcopal Church. Nationwide, the percentage of Americans who say they go to church at least once a week fell from 42 percent in 2008 to 38 percent in 2017, according to Gallup polls. Among Roman Catholics, the largest Christian denomination in New York state, church attendance has fallen to 39 percent from 75 percent a generation ago. Christian churches of several denominations have tackled the shrinkage by closing or combining congregations. At some local Episcopal churches, such as Trinity Church in downtown Buffalo, parishes have begun sharing space with like-minded nonprofit organizations. 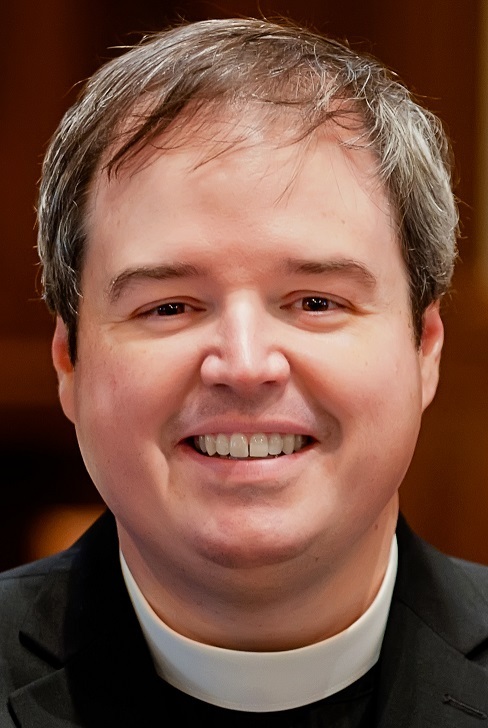 But this will be the first time two dioceses voluntarily joined their top leadership, Ousley said — and it has already sparked serious inquiries from other dioceses. 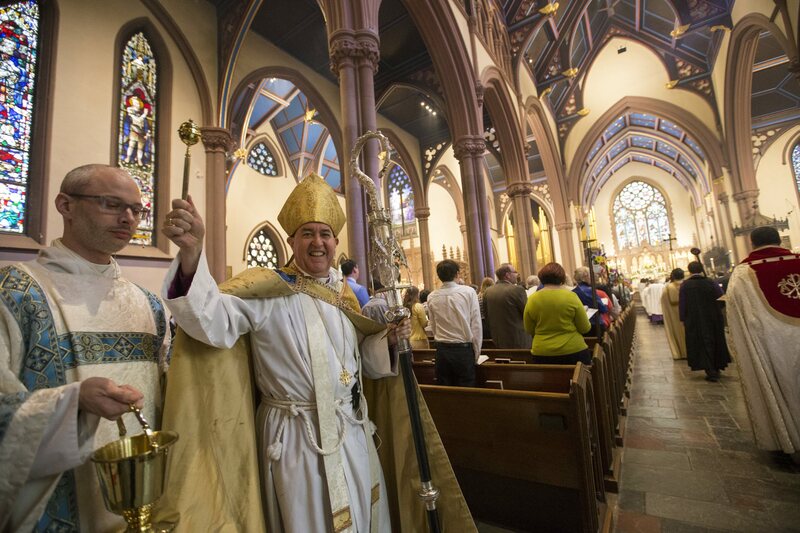 For Rowe, the incoming bishop, that will next mean finding a second home in Buffalo: He, his wife and his first-grade daughter would like to live in the city, he said. They're considering Allentown, a short drive from St. Paul’s Episcopal Cathedral. For Franklin, the journey ends Sunday, when he celebrates a retirement service. From there, he plans to move to New York City to join his wife, who teaches classics at Columbia University. But the bishop will be watching his old diocese from downstate, he added. Caitlin Dewey – Caitlin Dewey is a reporter at the Buffalo News. Before returning to Western New York, she spent six years reporting for the finance and style desks at the Washington Post.